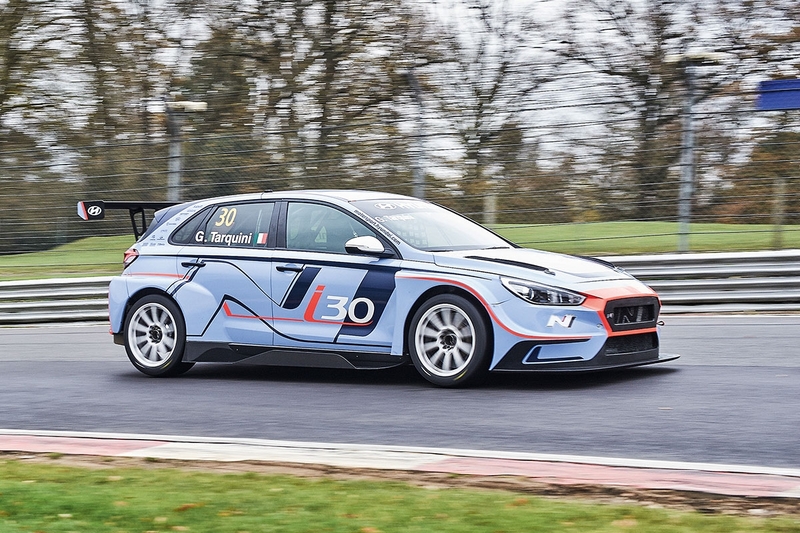 Hyundai N’s peculiar signature shade of light blue is already becoming burned into our consciousness: this i30 N TCR is part of a burgeoning range of performance road and motorsport cars that include WRC- and also now R5-spec i20s, and, of course, the admirable i30 N Performance hot hatch. 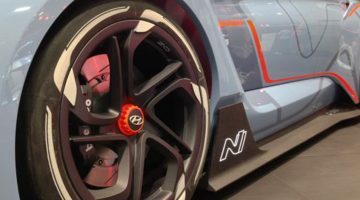 According to its chief engineer, Matias Brutos Schmidt, the i30 N TCR ‘retains a lot of parts and concepts from the road car, including the front and rear subframes, the steering arms, many suspension parts, and the bonnet, doors and windows. From a dynamic point of view, the kinematics of the suspension are along the same lines. This is the philosophy of the series. The engine [block] is exactly the same – we use a lot of road-car parts. It was very important to have a friendly, reliable car – this car has now done 7000km on its engine and gearbox with no problem’. I mention this first, because when you stand next to the i30 N TCR any thoughts of the N road car are a long way from your mind. The body has those brutal, aero-led box wheelarches so ubiquitous on contemporary racing cars, while the roof-high rear wing is supported by twin struts unimaginable even to a mid-’90s Max Power reader. 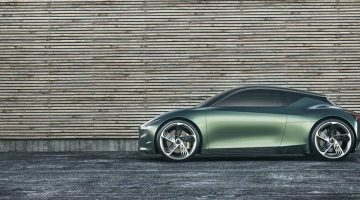 It’s all very crisp, and beautifully done, and that continues inside with an exacting standard of build and a seating position that sets the driver in line with the B-pillar. The steering wheel juts right back into your chest, so your inputs are driven from your elbows, and a small, all-digital display is mounted on the far end of the column. The trick to a reasonably graceful entry to the i30 N TCR is to defeat the challenge of the roll-cage’s sidebar. Once you’re over that and you sink into the Sabelt bucket seat, there’s a letter-box view out the front and through the window net by your left shoulder. The raucous 2-litre turbo engine’s metallic thrash sends tremors through the bodyshell, and the note is loud even with a balaclava and helmet on. The clutch pedal is only for pulling away from the garage, and the AP Racing cerametallic twin-disc item is sharp but manageable, the car chuntering and clonking away as we amble up the pitlane. With 350bhp hauling little more than 1200kg, the i30 N TCR is predictably potent. It makes the Brands Hatch Indy circuit shrink to little more than a few corners appearing in quick succession, while the Xtrac sequential shift, activated by some beautiful carbonfibre paddles behind the steering wheel, snicks in the next ratio almost instantaneously. It’s a more physical experience than I was expecting, not just because of the noise and harshness, or the unflinching solidity of the suspension, but also because of the wilfulness of the limited-slip differential, perhaps exacerbated by very quick steering, which means that as a driver you have to keep a very firm hand on where the i30’s nose is pointing. It brakes really well, with awesome power and feel from the 380mm front discs with six-pot calipers developed with Brembo. What I can’t really feel is how much grip beyond ‘not much’ is out there – fine for slower stuff, but sobering through Paddock Hill. In the dry the i30 will generate immense amounts of grip, but it’s a formidable mental leap to push harder on a cold, damp track. A couple of times I brake a little too deep into the corner on entry, and the resulting snap oversteer needs quick correction. The real beauty of the i30 N TCR is that for around $142,605 you get a turn-key factory racing car that allows you to compete all over the world with little more than a change of tyre brand. It’s not hard to see why interest in the TCR has been so high.